Paragon gives you the ability to customize your search screens or templates. 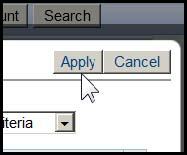 You choose which fields to display and the order the fields appear, in up to 3 different search criteria containers. 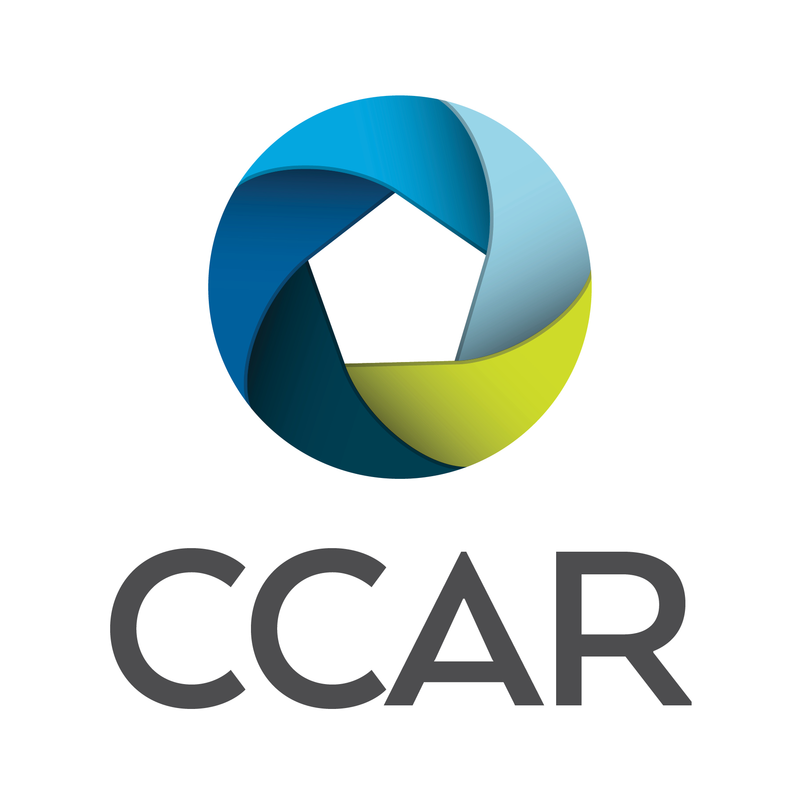 (Primary Criteria, Secondary Criteria and Advanced Criteria containers). You can place the fields in any order to suit your business needs. You can use this same tool when you just need to add a field to a search for specific needs of a customer. 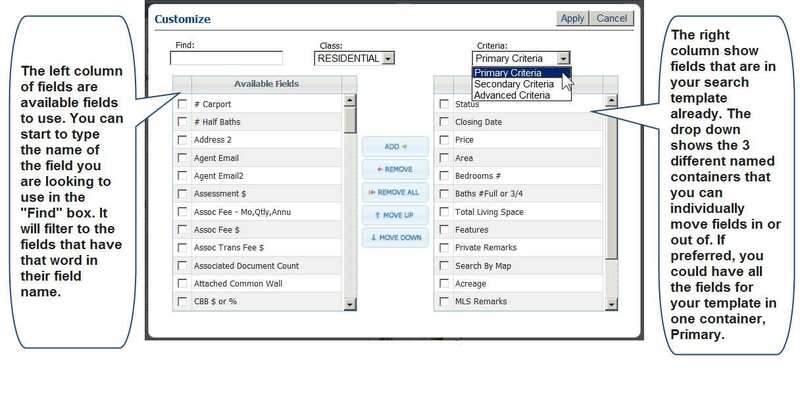 While in a search criteria screen, click on the Customize to begin the customizing process. Paragon Customizing tools have the following look and function. The fields on the left are the fields available to be added to the template. The fields on the right are the fields currently on the template. The editing tools in the middle of the tool allow you to add, delete or position the fields higher or lower on the template. Select the field(s) to edit and click the appropriate tool button. Or you can double click a field to move it from one side to the other. When you have completed customizing your search template, click on Apply to temporarily apply the changes you have made to your search template. Note: The just customized search template is only temporary for that particular search you are working on. You can save as a template or continue to search for listings for a customer, then save it for them. Your search screen will refresh showing you your just completed changes. If you like the revised search template, you need to save it as a Saved Search. The next logical step to save this as your default search template is to go to the Save Search menu on the search criteria template. This example will help you save it as your default template. Save Search means to re-save an already named template/search. Save Search As means to first name the template/search as in the first time saving the file. Save Search As will give you the option of naming this search and making it your default template. Go through the steps and always save your work. 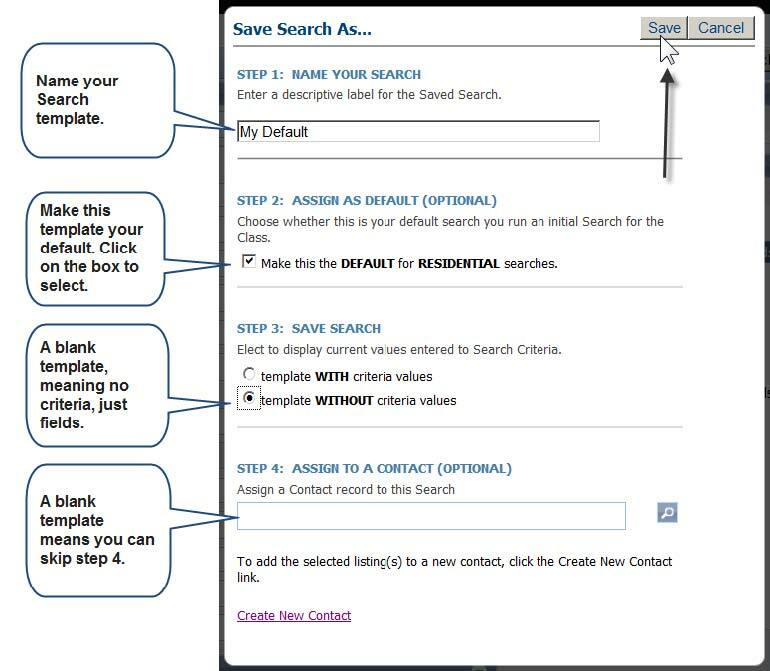 For more info on saving searches for your customers, please see the Quick Start Guide on Saving Searches.